have been handed down through generations. 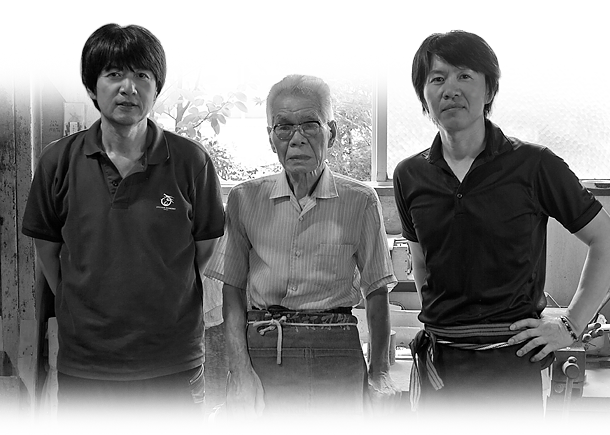 All of us at Ryusen Hamono would like to thank you for your support during our 70 years of business. Our beginning starts 2 generations ago, during the World War II. 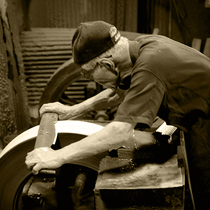 They started the business of attaching blades to handles, which was the most crucial part in making kitchen knives. 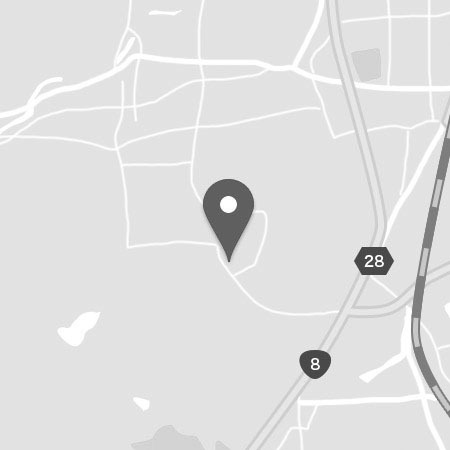 The second generation expanded our factory by introducing integrated manufacturing system. This system led us to overcome tough times such as Energy Crisis in the 70’s and Lehman Crisis in 2008. 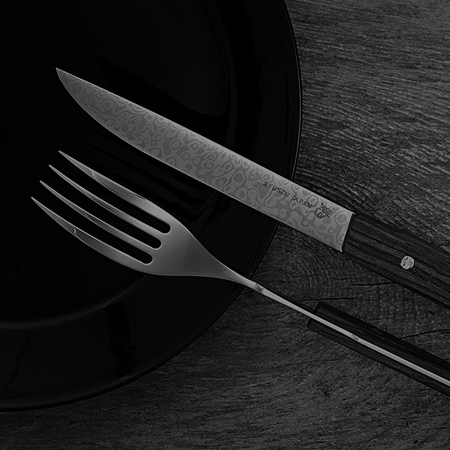 During those 70 years, we introduced the usage of stainless steel for regular household knifes, the first to do so in this industry, and expand the scale of production. There were times when we had to compete in prices with others that owned mass production systems. 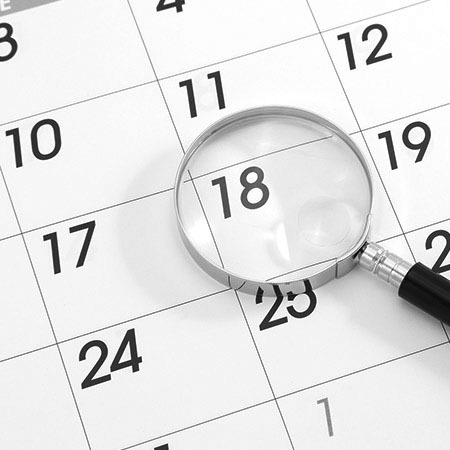 Through many complecation of trials and errors, we were able to invent and develop our products with high added value. The world is changing with the development of AI. At the same time the skills of hand crafting are declining. 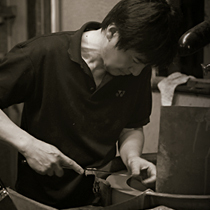 We are even more eager to continue and pass down the700-year-old traditional Echizen Forged Cuteraly Steel techniques. 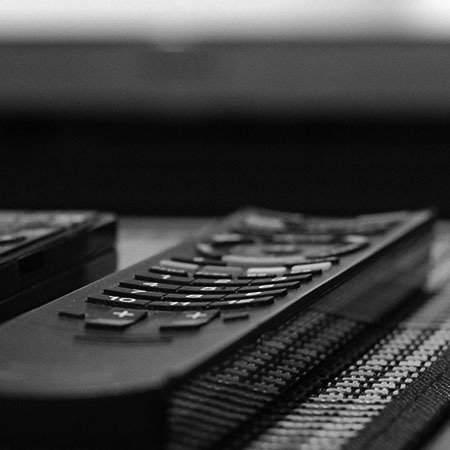 We take pride in hand crafting method and to continue producing products that do not depend on machineries. We would like to take this opportunity to promise to maintain the tradition, and strive for creating innovative products. 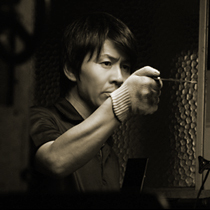 Hitoshi Masutani, the founder, gains the best craftsmanship skills as a blade polisher. 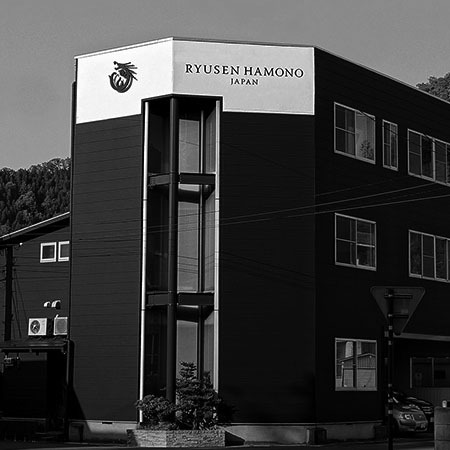 Hiroshi Masutani, the second, founds Ryusen Hamono Manufacturing. 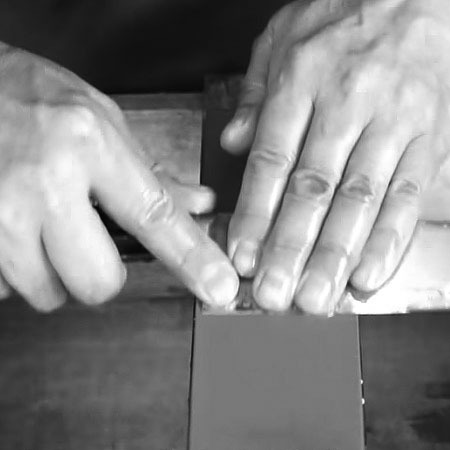 Started the researches to develop kitchen knives using stainless from Takefu Tokusyu Kouzai Corp. 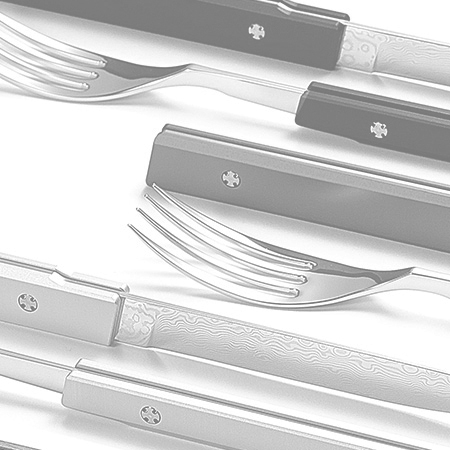 The first to launch multi-layered stainless kitchen knives based on traditional skills. 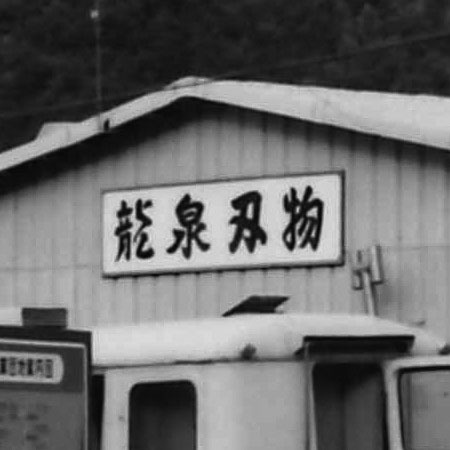 Joint development with Murayama Corp. from Sanjyou-shi, Nigata, we developed Henkei Roll Tanzou (Deformation Roll Forging). 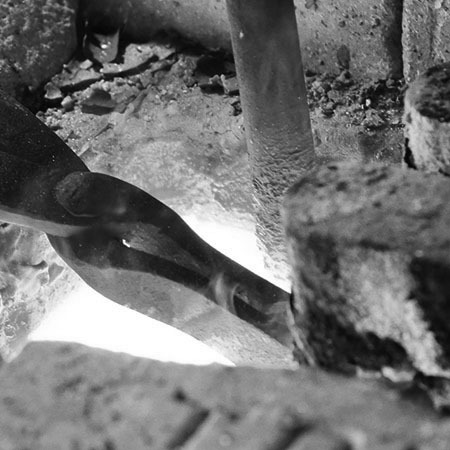 Succeeds in developing low heat forging processing that doesn't damage components of steel, and launches the products. Launches sales of Bonten Unryu, a kitchen knife for pro cooks. Wins Minister Prize of Economic, Trade and Industry. 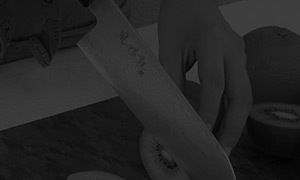 Launches sales of Bureizen, a kitchen knife for pro cooks. 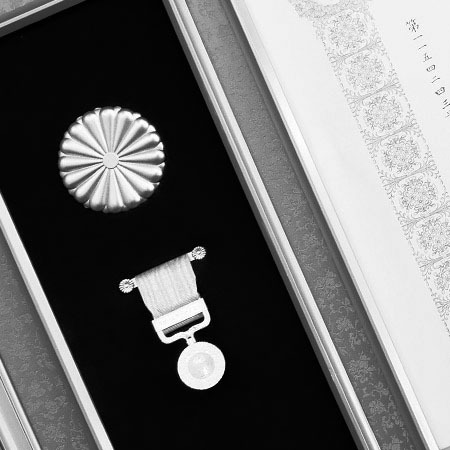 Hiroshi Masutani, the president, wins a Yellow Ribbon Medal. 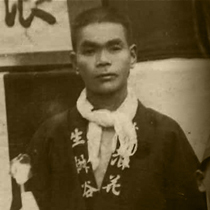 Kouji Masutani becomes the third president. 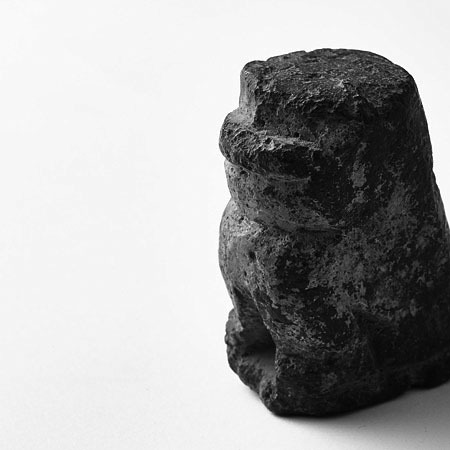 Launches sales of Tanganryu series. 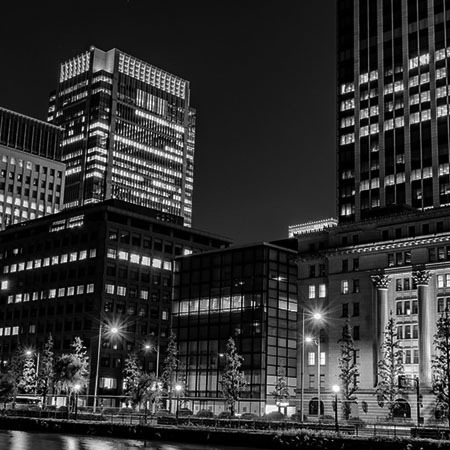 Joins "Japan Brand Business" , a promotion organization for Echizen Uchihamono globalization. Exhibits the products at "Ambiente" in Frankfurt, Germany, 2010. Becomes the chairman of the National Cutleries and Hand Tools Federation for 2 terms. Exhibits products at "Ambiente" in Frankfurt, Germany, 2012. 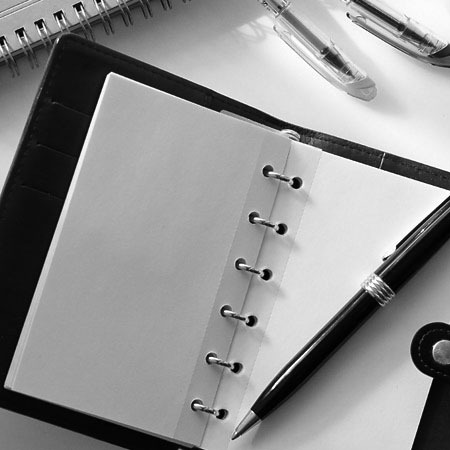 Joins the Echizen Products Business Division for enforcing business overseas. Supports Japanese contestants at Bocuse d'Or World Cooking Contest by developing and making a steak knife. 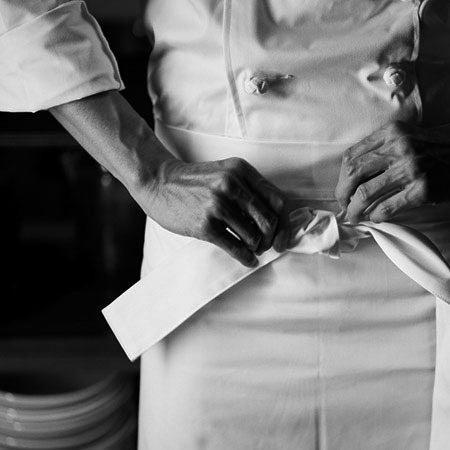 Launches sales of the steak knife that was specially made for the 2013 Bocuse d'Or World Cooking Contest. 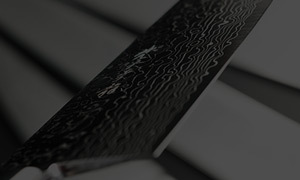 Wins the Good Design Award, Steak Knife "ASYMMETRY SK01." Wins the Good Design Award, Steak Knife "COLORS / NATURE SK03." 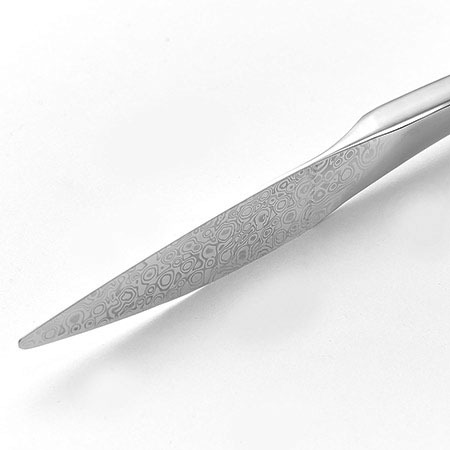 Wins the Good Design Award, Letter Opener "LICORNE LR01." Exhibits and sales products at "Le SALON" in Paris, France. "Asymmetry SK01" selected at "New Selection in KANSAI 2016"
Wins the highest award at "First Fukui Furusato Company Awards"
Makes organizational name change from Ryusen Hamono, Ltd. to Ryusen Hamono Co., Ltd. Selected at "300 vibrant SMEs 2016"
Wins the Good Design Award, Kichen Knife "TANGANRYU Premium series"
Wins the Good Design Award, "Steak Knife SK04 + Fork FR05"
Provides a demonstration at a distributor "Japanese Knife Imports" in Los Angeles in the U.S.A. Selected as "Excellent Successor of Traditional Craftsmanship "
METI Manufacturing Industries Bureau Director-General Award" at National Traditional Crafts Exhibition: awarded to product "SK06 YOSEGI"